Acquired by the Navy in February 1944 from the Maritime Commission and converted to an Internal Combustion Engine Repair Ship at Maryland Drydock Co, Baltimore, MD. Decommissioned, 30 August 1946, at San Diego, CA. Laid up in the Pacific Reserve Fleet, San Diego, CA. 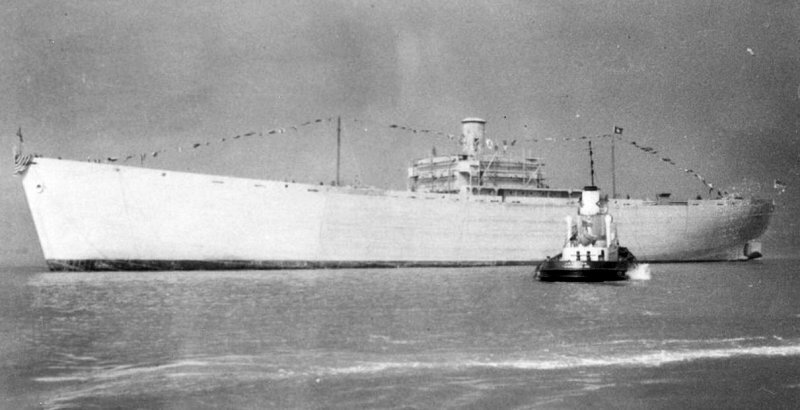 Maui was transferred to the Maritime Administration (MARAD), 13 June 1961, for lay up in the National Defense Reserve Fleet, Suisun Bay, Benecia, CA. 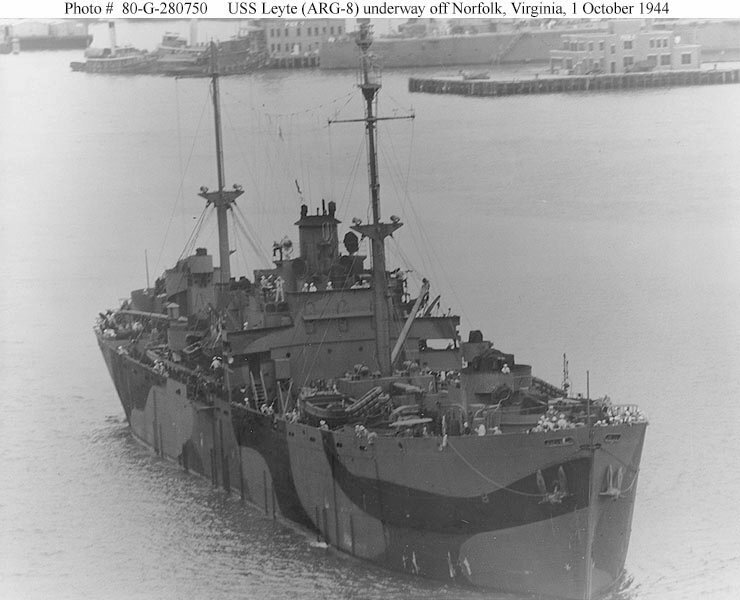 69k USS Leyte (ARG-8) underway in the Hampton Roads, off Norfolk, VA., 1 October 1944. Leyte's camouflage is Measure 31, Design 6Ax. 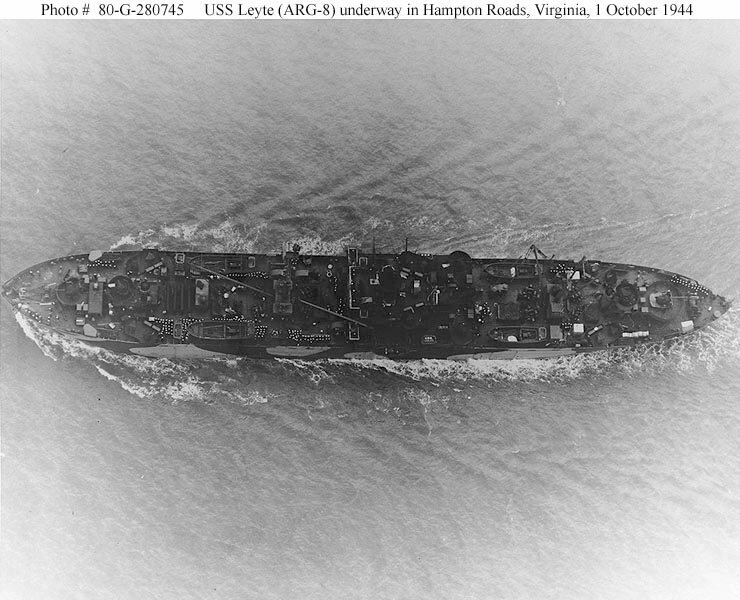 99k USS Leyte (ARG-8) underway in the Hampton Roads, VA., 1 October 1944. 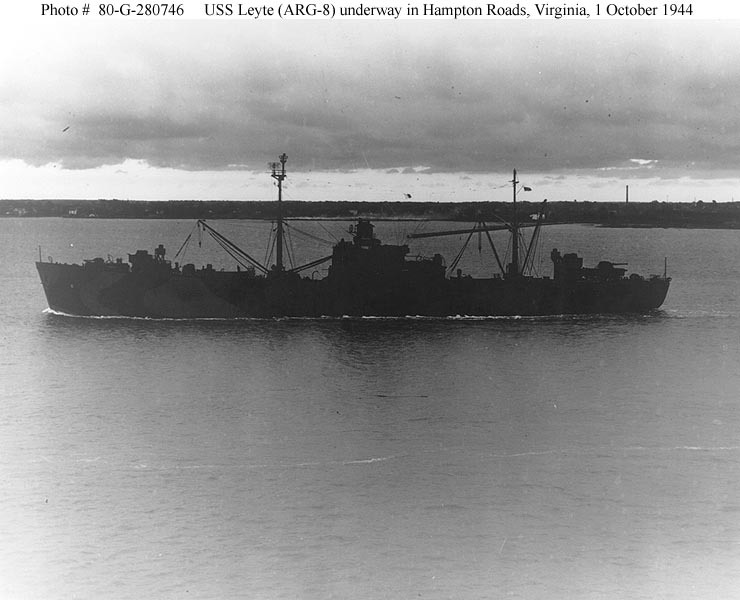 63k USS Leyte (ARG-8) underway in the Hampton Roads, VA., 1 October 1944.